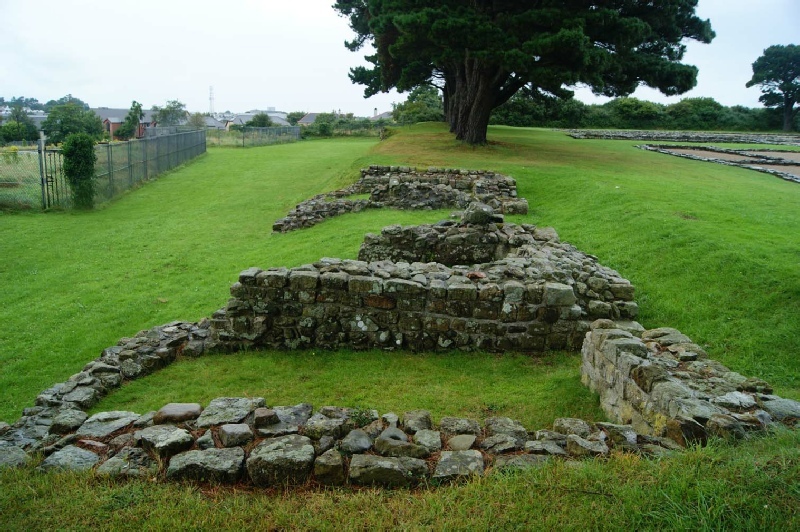 Doing some research recently on the Roman fort and settlement of Segontium I found myself face to face with a Roman emperor, Magnus Maximus. His story is interesting but not unusual. Later memory of him, especially in his guise as Macsen Wledig, is singular. His face stares out of coins he had minted to cement his position as head of the western part of the Empire, which he seized in 383 AD. On the obverse Max cuts a confident figure in profile, diadem on head, chest in armour. The reverse shows various devices: Roma seated on a throne, a triumphal gate, the Emperor with a kneeling female, and in one version, two emperors, since Max never gained control of the eastern part of the Empire ruled by Theodosius and for a time seems content to have shared. Max was a Spaniard by origin and enjoyed good connections. Having proved himself as a military leader he was appointed as commander of Britain in 380 and beat off attacks on the province by Picts and Scots. But in 383 he followed in the steps of many other ambitious provincial leaders and made a bid for the throne. He invaded Gaul, taking his British legions with him, and defeated the incumbent emperor Gratian. His attempt to take over eastern half of the empire was thwarted and he had to make do with the west. He had himself baptised as a Christian and ruled Britain, Gaul and Spain from his base in Trier, with some success, for three years. But in 387 he made the mistake of trying again to push south into Italy, and was defeated, captured and executed in 388. 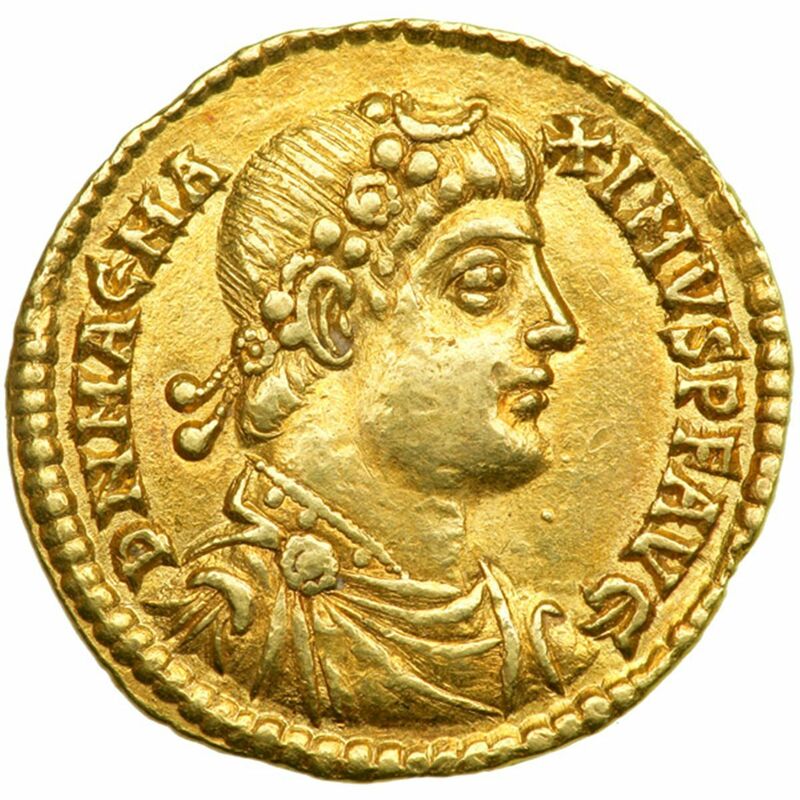 Usurping emperors were common – Carausius, a century earlier, had also used a base in Britain – and Magnus Maximus had a fairly common fate: early success followed by a violent overthrow and sudden death. But for the Britons he was a figure of real significance. Evidence is thin, and recent scholars are sceptical, but the armies that he removed from the province to support his bid for the throne may never have been fully restored, and although Roman administration and authority continued for another twenty years or more, in reality Max’s adventure seems have been perceived as the decisive break with the past. A modern analogy might be a future Trump-ordered US withdrawal from NATO leaving the Baltic states, for example, to look to their own defensive devices. If this is correct, you might expect Max to have been remembered as a villain, intent on pursuing his personal ambitions, heedless of their effects on the security of an entire province. And this is exactly how Gildas, writing in about 540, described the situation: he accused Max of depriving Britain of ‘all her soldiery and armed bands, of her cruel governors, and of the flower of her youth’. Many have portrayed Max in the same way down the centuries, including Rudyard Kipling in the ‘Winged hats’ chapter of Puck of Pook’s Hill. But tradition in Wales saw him in a very different way. 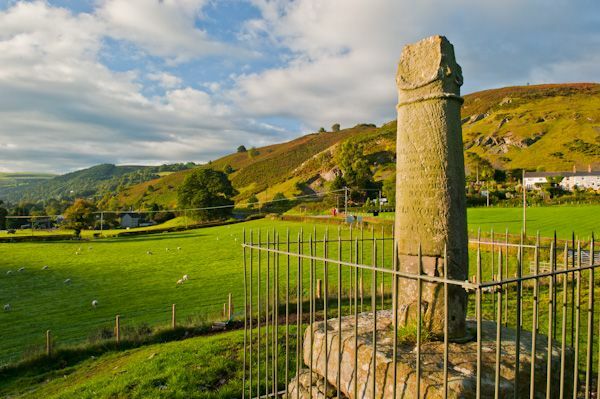 The early genealogies have Max as the founder of post-Roman Welsh kingdoms, including Dyfed and Powys. The Pillar of Eliseg, erected in the ninth century, mentions Maximus, ‘who killed the king of the Romans’, as one of Eliseg’s ancestors. And in the Mabinogion tale Breuddwyd Macsen Wledig (The dream of Macsen Wledig) Max is the central and heroic figure. 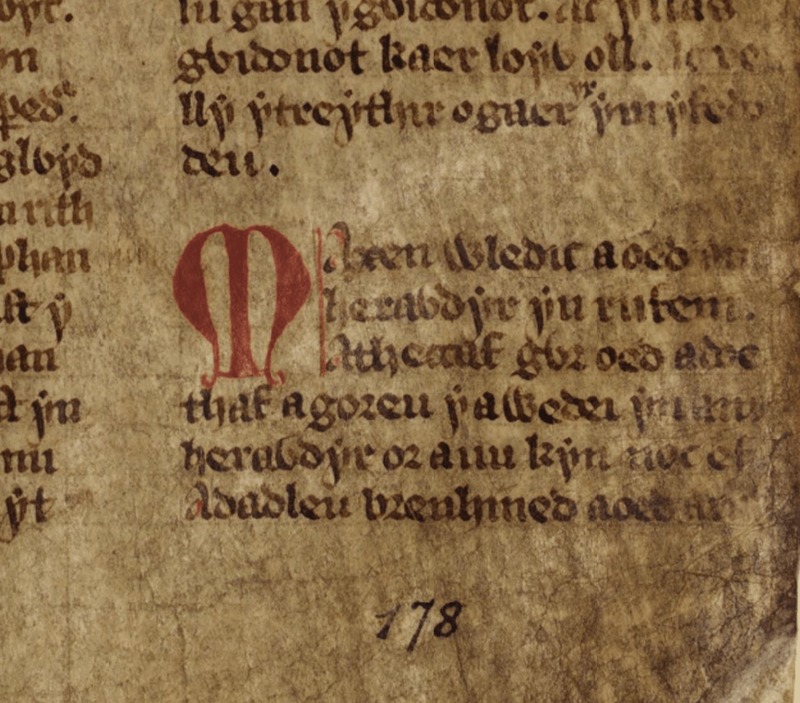 The text of The dream probably dates to the 13th century, but some of its elements are much older, having been transmitted through an oral Welsh tradition, and we can hear echoes of a past that precedes the end of Roman rule. Macsen Wledig (‘leader’), emperor of Rome, goes out hunting. Overcome by the heat he takes an afternoon nap, and dreams of a beautiful woman, found in a far country at the end of a long journey over mountains, rivers, plains and seas. Just as he’s getting to know her he wakes. Pining and unable to forget her, he sends soldiers across the world to look for the woman. After long searches they eventually find her, in ‘Abersaint’ (Caernarfon). Macsen makes the same journey and claims the woman, Elen Luyddog, as his wife. As the maiden fee he agrees to grant to her father possession of the isle of Britain, and to build her three forts, at Caerllion, Caerfyrddin (Carmarthen) and Arfon (Caernarfon) [an echo of the three chief centres of Roman power in Wales]. He stays so long in Wales that a rival declares himself emperor back in Rome. Macsen fights his way back and with the crucial help of Elen’s brothers and their British forces he succeeds in taking Rome back. Some of the victorious British armies return home, others settle in Brittany. According to this version of the story, then, Max is no deserter of the Britons. He’s their benefactor and liberator. He lies not at the end of a long period of peace and prosperity, but at the beginning of a new age of freedom and independence. Wales is still part of the Roman world – not as part of a minor garrisoned province but as a fellow Christian land. This inversion of the deserter narrative proved irresistible to Welsh nationalists of the 20th century. 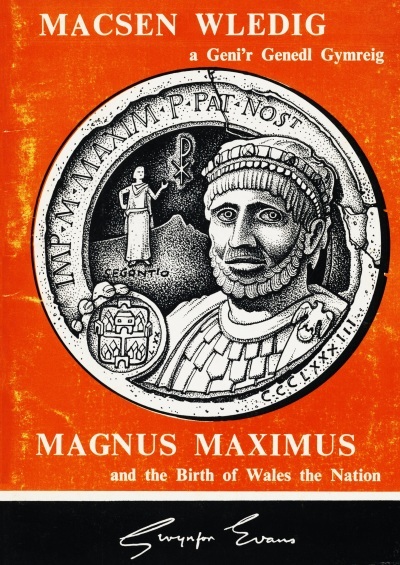 In 1983 Gwynfor Evans published a bilingual pamphlet entitled Macsen Wledig a geni’r genedl Gymreig / Magnus Maximus and the birth of Wales the nation. Evans celebrated the continuity of western civilisation that the Macsen story represented, and contrasted it to the violent break in that tradition caused by the Anglo-Saxon invasions: ‘The beginnings of Welsh nationhood’, he wrote, ‘ are permeated by Roman civilisation; a Welsh emperor assisted the nation’s birth’. Further, Evans, a devout Christian, sees Max as a bridge between the old faith of Rome and the about-to-flourish Celtic Christianity of the new Wales: ‘Maximus the Christian is the most notable link between the ages of pagan religions and the Age of Saints’. He ends his tract with the ringing words: ‘It was Magnus Maximus who made the Welsh responsible for their defence. When he left in 383 his work for Wales had been done, unknown to him of course. In that year he went on his long journey as an emperor through France and Italy to his death in Aquileia; and Wales started on her long march as a nation through 1,600 years of history’. A’n gadael yn genedl gyfan, a heddiw – wele ni! One thousand and six hundred years is far, far too long ago. He left us as a nation, and today – we are still here! It’s difficult to account for the transformation of Mad Max the usurper to Macsen Wledig father of the nation in the early Welsh tradition. Unless, as some scholars have guessed, during his period as emperor Max formally devolved a degree of Roman authority and power to the Britons, or some of them. Among the Britons of Wales, by this time, lived many settlers from Ireland, and they too may have been granted autonomy, in an attempt to stabilise the existing order and preserve it from further attacks by sea and land. This is speculation – nothing is known of Britain’s fate during Max’s rule – but it would account for the gratitude felt to him by the Britons, who were at last regaining much of the self-rule they lost over three centuries earlier. In that case a modern parallel to Max might be Ron Davies, the father of Welsh devolution and architect of the alliance that narrowly won the second referendum of 1997. Thank you for creating this page. I enjoyed reading your article. I found it while researching his name that has come up on my radar while doing ancient genealogy work. I am glad to learn that he is not a mythical figure. I am still searching for additional documentation of his genealogy. Is there any professional reference about his ancestors and descendants? Thank you again and may you continue your succesful findings of this ancient Roman site. The historical Magnus Maximus had offspring: a son, Flavius, who was captured and killed in the year 388 after Maximus’s own execution, and two daughters are mentioned as surviving his death. The legend of Macsen Wledig, or one version of it, gives him three sons by Elen: Peblig (the church at Segontium is dedicated to St Peblig), Owain and Cystennin. 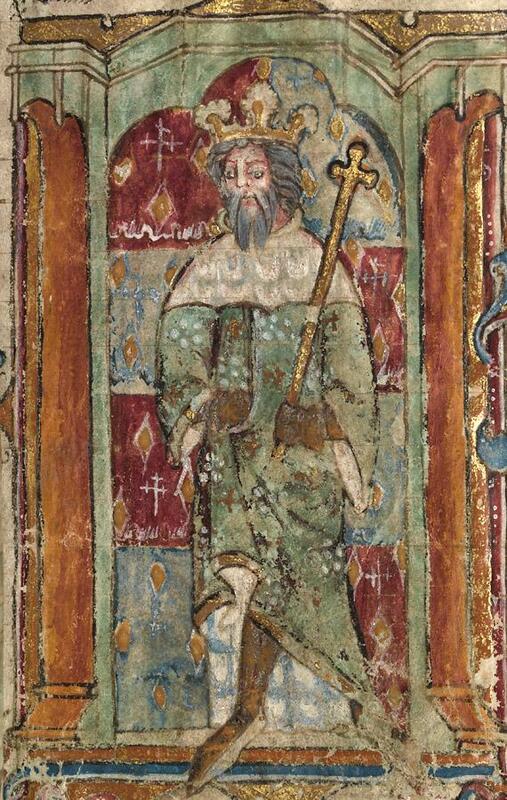 Absolutely fascinating i have read the dream of Macsen Wledig and this emperor fascinated me almost as much as Caradog. He left as you say a deep and lasting impression on the early welsh nation’s consciousness to be immortalised into historically based oral folktales in the Mabingion. Thanks for creating such an interesting website. Im trying to identify a small bronze coin i think its early roman found in Wales it has a radiate crowned head and a single standing figure on the reverse side im currently soaking it in olive oil to clean it.